The heat waves shimmer off the asphalt as you prepare for action. In the distance, you see the formidable architecture of Dubai’s city center. As you roll through the start-finish line, you’ll experience the power and precision of Porsche’s latest masterpiece – the 2018 Porsche 911 GT2 RS -- you’ll explore some of the best mountain driving roads in the world not far from Dubai, and you’ll feel every turn, twist, rattle and shake as you drive this astonishing car at the limit. Forza Motorsport 7 is here and it’s time to take the lead. Here, on Day 1 of E3, we’re going to take you into a deep dive of Forza 7, to give you an in-depth look at what to expect when the game hits store shelves beginning on October 3. Ready to drop the green flag? Then let’s go! This is the most beautiful Forza game ever made. 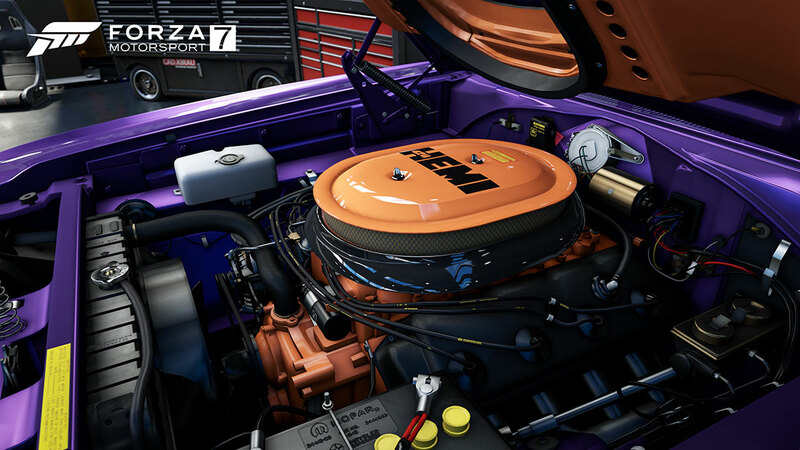 We’ve built the game from the ground up to be native 4K and HDR, and all running at the buttery smooth 60 frames per second that Forza Motorsport fans demand, making Forza Motorsport 7 the premiere 4K gaming experience. Forza 7 has been built with Xbox One X in mind, with astonishing 4K textures, as well as advanced graphical techniques like ambient occlusion, state of the art lighting models, improved shaders, and many more. 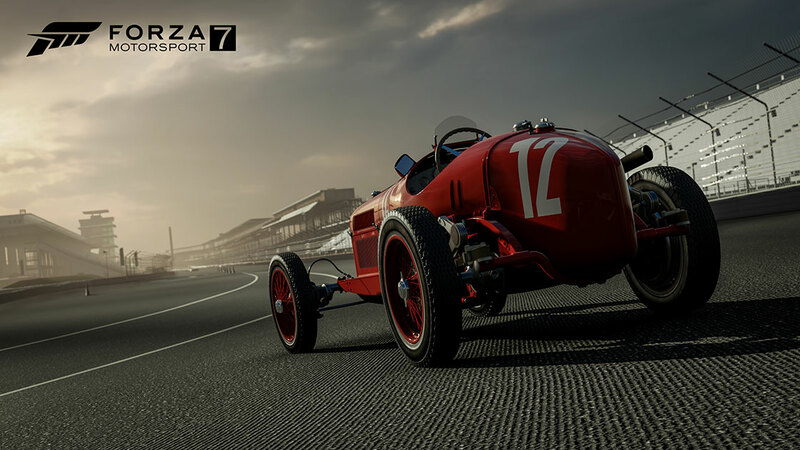 Because all of this, we’ve improved the look of Forza 7 on every platform, whether you’re enjoying the game on Xbox One or a high-end Windows 10 PC, on a current 1080p TV or a state-of-the art 4K set. Naturally there’s more to a great game than just graphics. With Forza Motorsport 7, we want players to feel the exhilarating danger of motorsport. Certainly, fantastic-looking cars and tracks are a great start but it doesn’t end there. With Forza 7, we want to give the player the explosive immersion of being inside the car driving at the limit. What does that feel like? What does it sound like? Driving in Forza Motorsport 7 is unlike anything you’ve seen (or heard) before. Especially in cockpit mode, you’ll see and feel every jostle and shake of the car more than ever. You’ll hear loose parts rattle in your ears as you push your favorite cars to their limit and beyond. Anything that could be impacted by the violent motions of the car has now been exposed to our ForzaTech simulation engine – to deliver players the true feel of what it means to drive at the limit. That feeling of danger is accentuated by our new dynamic race weather systems. With Forza Motorsport 7, we’ve reimagined how players interact with their environment. Every time you return to the track, it’s going to look, sound, and feel different. Dynamic skies will churn as skies darken and prepare for storms. Tarmac temperatures will change which will in turn affect tire friction and your car’s handling. Lighting will flash across the sky and rolling thunder claps will accompany every pop and growl of your car’s engine. Whether you’re exploring the new Forza Driver’s Cup single-player campaign or competing in a new multiplayer League Season event, we want you to have a unique experience every time you take to the track. If you watched the unveil of Forza Motorsport 7 at the Xbox Press Briefing on Sunday, you already know about our brand-new cover car, the 911 GT2 RS is here, redefining the legacy of the 911 with a car that must be driven to be believed. In fact, you’ll be driving that 911 GT2 RS and more than 700 additional cars in Forza 7, including the largest list of Porsches, Ferraris and Lamborghinis in any racing game. You’ll drive those cars on more than 30 racing environments, the largest list of tracks in Forza Motorsport history. So far, we’ve revealed three of those locations – the new Dubai “crown jewel” track, the Nürburgring, and a rebuilt Mugello. (To read more, check out our story covering the Forza 7 E3 demo). Look for more car and track reveals ahead of the launch of the game. 700+ cars. 30+ environments. At the risk of stating the obvious – that’s an incredible amount of content and variety. For the designers here at Turn 10, all those cars and tracks present both a fantastic opportunity and a real challenge. How, for example, do we give players exposure to such a wealth of awesome stuff without making them feel overwhelmed? The answer is the Forza Driver’s Cup, our new campaign mode. We’ve reimagined our campaign to allow players to tailor their progression as they see fit. There are six major championships to compete in and each series features a huge variety of cars and classes to compete in, highlighting the massive car list that is a cornerstone of Forza 7. You can race NASCAR vehicles, trophy trucks, pre-war cars, American muscle, exotic supercars, JDM classics, the list goes on and on. Go where you want, race the cars you love; you’ve got the freedom to do what you want. The Forza Driver’s Cup will also feature a motorsport-inspired scoring system which will let you rack up points per race and allow you to unlock new car and brand-new Driver Gear (more on that in a bit). We’re also bringing back Showcase Events, where some of the most exclusive reward cars will live. In fact, we’ve re-thought how we reward players. Car collecting is a key element to the Forza Motorsport series and, with Forza 7, we’re blowing that out in a big way. In essence, the more cars you collect, the greater your post-race rewards will be. You’ll have an in-game tier level in game that will progress as your collection grows and the higher your tier, the better the rewards you’ll earn. We’ll have more to say about our car collecting system at Gamescom. So, as you can see, we’re rewarding players differently in Forza Motorsport 7; not just with how we’re rewarding them but with the rewards themselves. Naturally, there’s going to be credits to earn and cars to collect but, for the first time in the Forza Motorsport series, we’re bringing the driver our of the car and to the forefront with our new Driver Gear feature. Forza 7 will feature more than 300 Driver Gear sets to unlock in the game. Pick the Driver Gear that’s right for your driver and you’ll see him or her decked out in the pre- and post-race screens. It’s one more way we’re making Forza Motorsport 7 a personal experience. 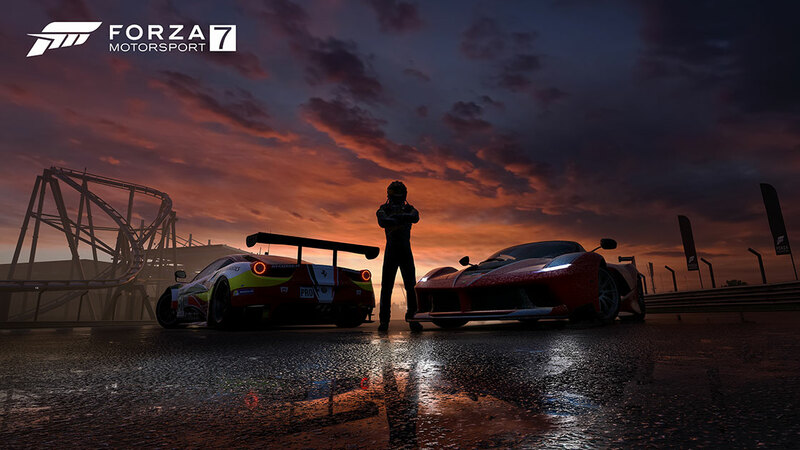 Preceded by Forza Motorsport 6: Apex and Forza Horizon 3, Forza Motorsport 7 is the third Forza game to be released on Windows 10 PCs. The team has worked incredibly hard to bring the legendary feel of Forza Motorsport and the leading customization options to Forza 7 on PC. That includes unprecedented accessory support. In fact, Forza Motorsport 7 will feature support for every fan-requested racing wheel on the market. With more than 4.5 million active players, Forza is one of the largest and most diverse racing communities in the world. Forza Motorsport 7 has been built to take advantage of that massive audience to bring automotive entertainment to new levels in the game. With features like crossplay, players can compete together seamlessly, whether they’re on Xbox One, Windows 10 PC, or Xbox One X. 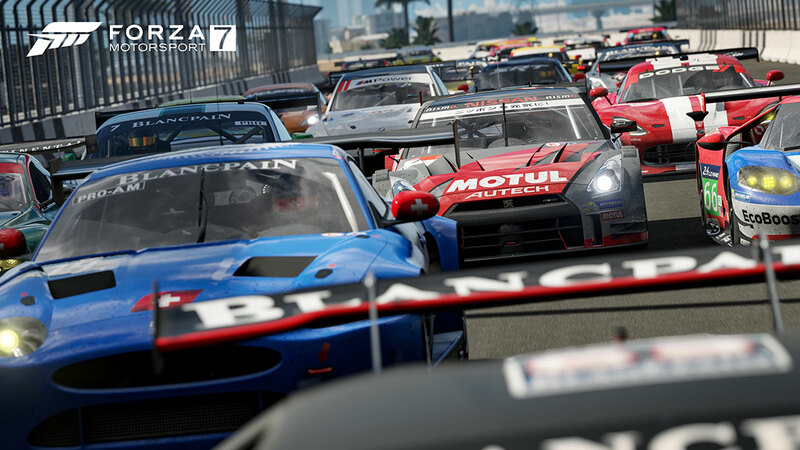 In addition, Forza Motorsport 7 will feature new enhanced Leagues, Mixer integration, and enhanced spectating modes, all designed to make esports like the Forza Racing Championship both a great place to compete and the ultimate spectator sport. Naturally customization is a huge part of Forza Motorsport 7. In addition to painting and tuning options that all Forza players expect, players can choose what kind of controller they want to use, the assists they want to drive with (including our new Friction Assist setting, designed to let inexperienced players not get stuck in the sand or grass when driving off the track). In the end, we want players of every skill level to feel at home in Forza Motorsport 7. There’s so much more to talk about with the game (after all, we haven’t even had a chance to talk about or the Forza Motorsport take on #Forzathon events). Look forward to more details coming out of E3 2017 this week, and of course, more details on the game throughout the summer as we lead up to the October launch. Remember, you can pre-order the game now. If you can’t get enough of Forza 7, check out our hands-on report of the E3 2017 demo. Look for more reveals of features, cars, tracks and more as we roll through the summer and stay tuned to @ForzaMotorsport for the very latest Forza Motorsport 7 news.